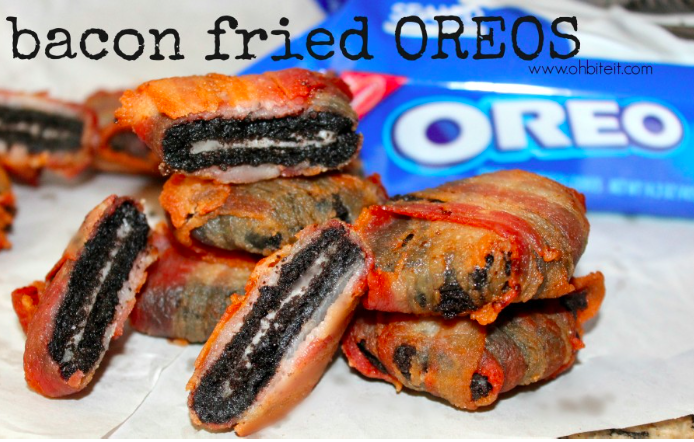 Wanted In My Mouth: Bacon Fried Oreos | OhGizmo! By David Ponce on 04/14/15 • Leave a comment! If God gave us taste buds, it’s because he wanted us to use them. 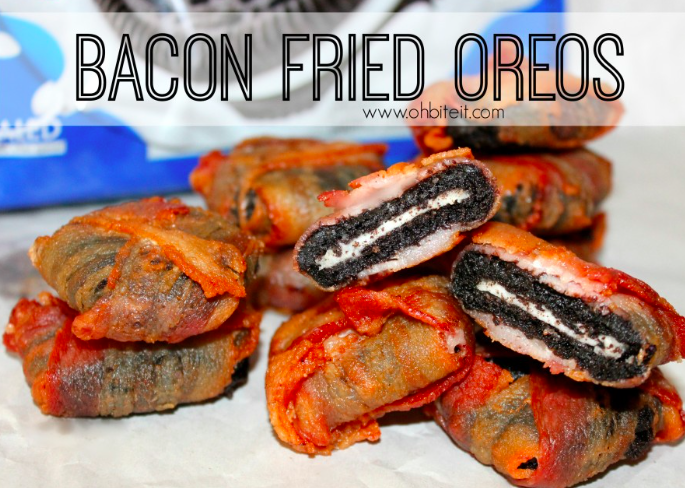 That’s all the logic we need to rationalize wanting to eat a box full of the above Bacon Fried Oreos. It’s a creation of the fine curator of food site OhBiteIt!, and doesn’t require a whole lot of ingredients to reproduce. Follow the link at the bottom for a step by step, while just sit here and get fat simply looking at the delicious treats.